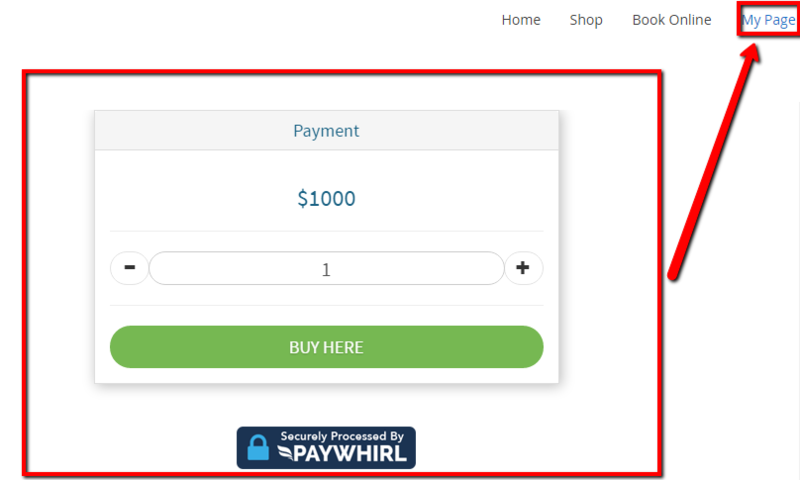 How to embed a PayWhirl widget in your WIX site? 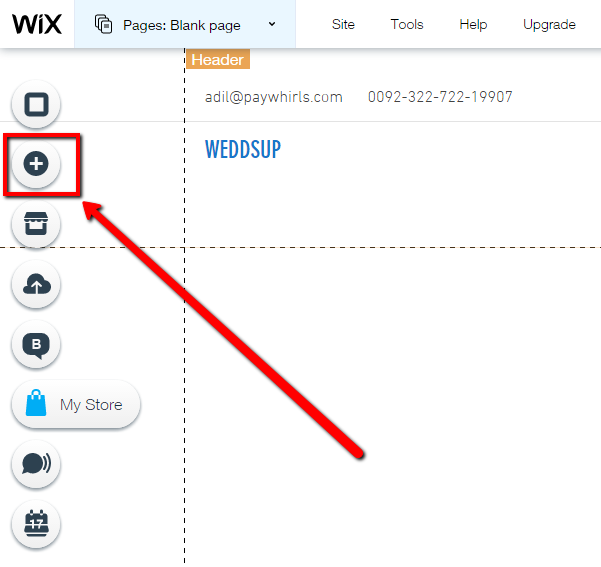 This is a basic example showing how to embed the widget code we provide on a new blank WIX page. 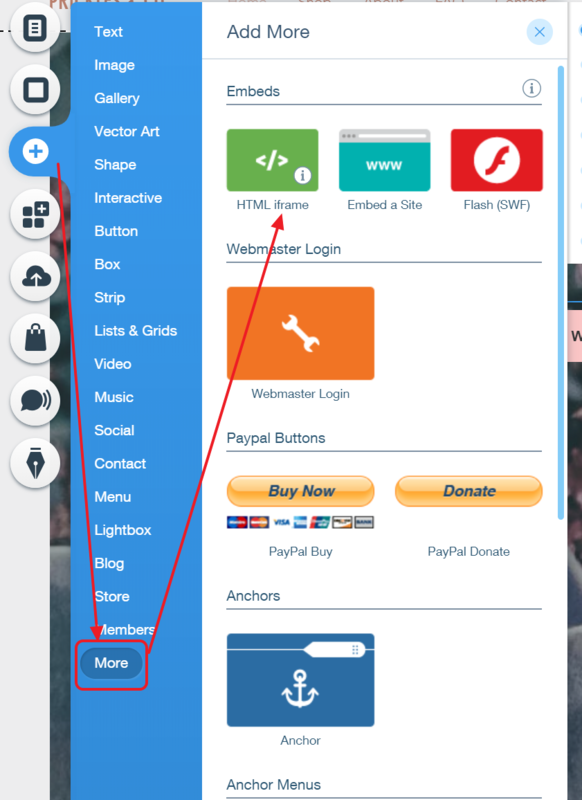 2- Now click edit on a widget you want to add to your WIX site or create a new one by clicking New Widget button from top right corner. If you haven't created a widget yet, see this guide for making a widget. 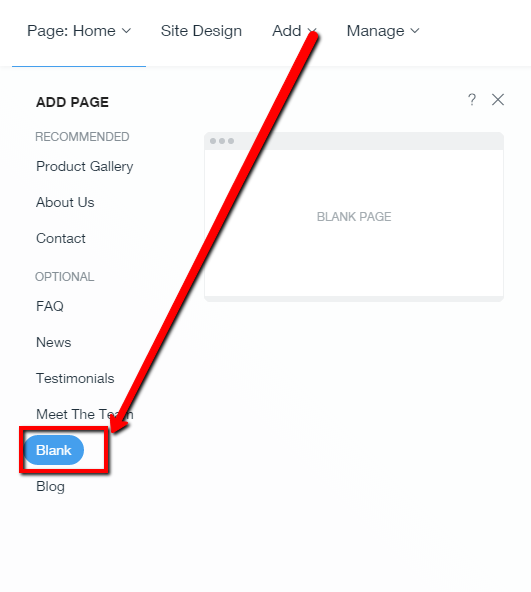 4- Once embedded code is copied open your WIX website's admin panel and click on "Add"
5- Now click on "Blank" to create a new blank page. 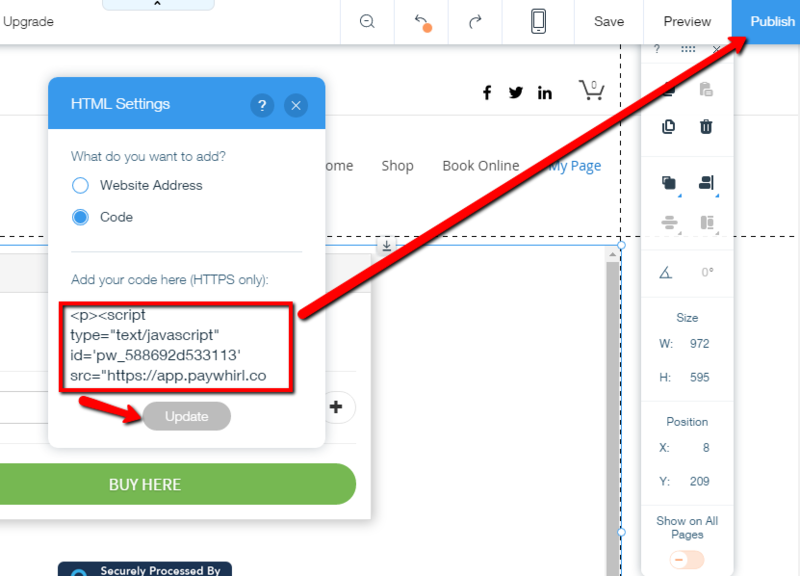 8- Click enter code and paste your copied embed code in the box. If you don't have other code already in the box, add <p> tag before the code and </p> after the code. Click "Update" then "Publish" button in top left corner. 9- That's how it will look at your store.